(17/P49) TRENTON – New Jersey, consistently a national leader in ocean water quality and monitoring, is looking forward to another great tourism season as the state’s final two major beach and dune projects get under way, Department of Environmental Protection Commissioner Bob Martin said today during the New Jersey Sea Grant Consortium’s 15th Annual State of the Shore event in Long Branch. The New Jersey Sea Grant Consortium’s event is held every year just before the Memorial Day weekend, the unofficial start of the shore tourism season, as a time to provide a status report on water quality, beaches and other coastal issues. The DEP coordinates the Cooperative Coastal Monitoring Program (CCMP), a joint state and local partnership that routinely tests water quality at some 180 ocean beaches as well as 35 bay and river beaches across the state throughout the season. New Jersey’s monitored ocean and bay beaches were open 99.9 percent of the time last season, ranking the state among the nation’s leaders in coastal water quality. Sampling results so far this season show that New Jersey’s ocean water quality is again outstanding. Coastal surveillance flights that operate six days per week from mid-May to mid-September, weather permitting, have also resumed, looking for issues such as excessive algae blooms or debris that might affect water quality. 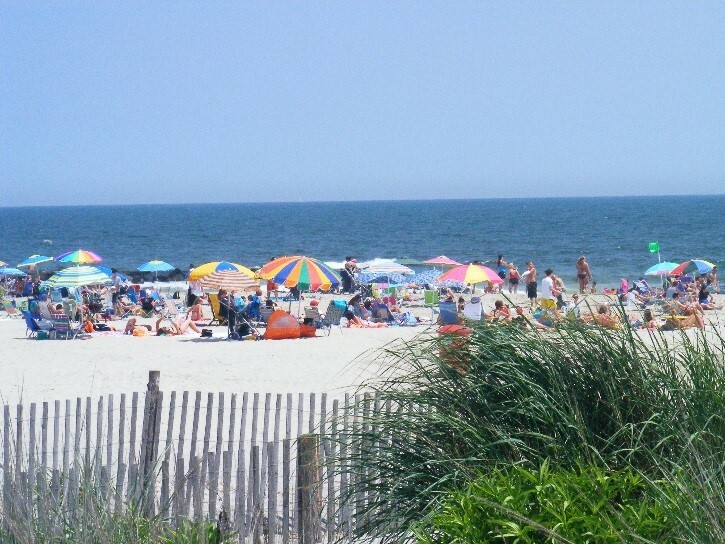 Last season, the only ocean beach closings occurred in the city of Cape May, when a beach at Pittsburgh Avenue was closed for several days due to an accidental spill into a storm drain caused by plumbing work at a hotel. Statewide, bay or coastal river beaches were closed just 10 times last year. Under the Coastal Cooperative Monitoring Program, New Jersey requires that bacteria not exceed 104 colonies of Enterococci bacteria per 100 milliliters of sample. Any initial sample that exceeds the state standard requires that the local health agency issue a swimming advisory. Beaches are closed if sampling the next day at the impacted beach continues to exceed the standard. Closings remain in effect until subsequent sampling indicates levels again meet the standard. Advisories and closings are rare, generally occurring after heavy rainstorms that can carry bacteria in wastes from animals such as gulls, geese and other birds into affected waters. Bay and river beaches that do not have good natural circulation are more likely to experience closures. The Christie Administration and the U.S. Army Corps of Engineers’ (USACE) Philadelphia District this summer are also moving into the final stretch of completing a statewide system of engineered beaches and dunes to better protect coastal communities begun after Superstorm Sandy hit the state in October 2012. This work is paid for primarily with funds authorized by Congress after the storm under what is commonly called the Sandy appropriations bill. One is a $128 million project for northern Ocean County’s Barnegat Peninsula, which was devastated by Sandy. Work is beginning this week with construction in the Ortley Beach section of Toms River, one of the hardest hit communities in the state during the storm. 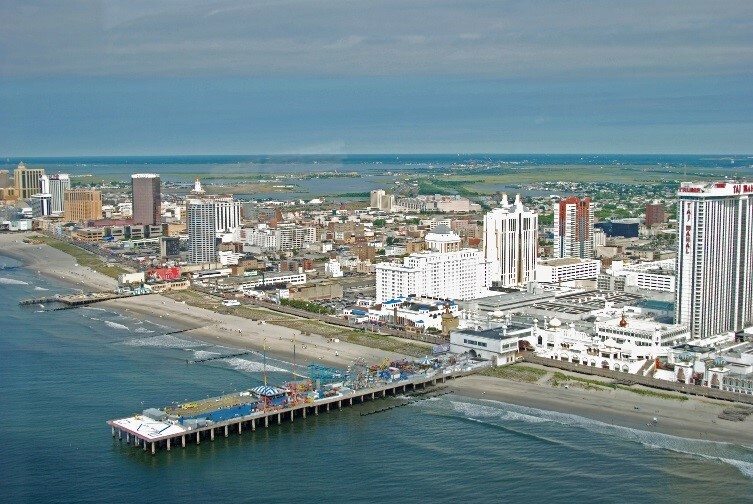 The other is a $63 million project for Atlantic County’s Absecon Island, which includes beach and dune construction on eight miles of beaches from Atlantic City to Longport. Each of these projects will provide communities in these areas with a much greater level of protection from storms, and are among a total of seven major projects bringing New Jersey’s beaches to USACE design standards. Every effort will be made to minimize impacts to residents and visitors as work progresses. Pumping of sand will only occur along 1,000-foot sections of beach at a time. Each section takes about a week to complete.